To say the Big Island is bursting with some of the best and most popular sights and attractions in Hawaii is certainly an understatement. Tour otherworldly volcanic landscapes; marvel at the beautiful waterfalls, lovely parks, and botanical gardens; or stop by the museums and cultural centers. You can even commune with the stars on the world's tallest mountain. Here we'll show you the best landmarks and natural wonders the Big island has to offer. 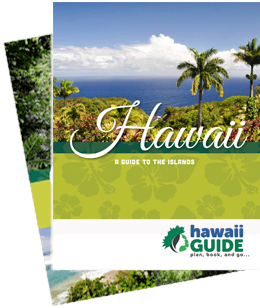 Start planning your Hawaiian vacation right here- with Guide of US- Hawaii. The Big Island has a vast array of sights and attractions, and we’re sure you have your Hawaiian must-do list well underway! No matter which destinations you choose, be sure to see the sights with a professional guide. We’ve said it once and we’ll say it again (with experience): Nothing beats touring Hawaii with an expert, local guide with in-depth knowledge of the history, culture, flora and fauna, and practically anything else you’d like to know about Hawaii. So, peruse our handpicked tours led by some of the industry’s best guides and book the ones you simply can’t pass up. And remember, many of these tours fill up quickly, so book early to ensure availability. Mahalo! Visit Hawaii Volcanoes National Park, watch the landscape change before your eyes, and walk on ground younger than you are! Here you'll find Kilauea, one of the world's most active volcanoes and the force behind so many unbelievable sights. However, don't think everything is barren here- stop by the Kilauea Visitor Center and the Jaggar Museum to learn all about the fascinating forces at work. Hilo and Puna offer something for everyone- whether you're into beautiful waterfalls, parks and gardens, or even caves, you'll find something to love. Or stop by the Tsunami Musuem or the Lyman Museum to learn about the natural and cultural history that has shaped the Big Island. How about a snack and some education? The Mauna Loa Macadamia Nut Visitor Center is waiting for you- yum! This area is a lush tropical paradise and the botanical gardens here are nothing short of heavenly. Of course, lots of rain is needed to keep those trees and flowers nice and vibrant, and that means waterfalls should be on your must-see list. The coastline is wonderfully picturesque, the valleys are a lovely green, and the sights are one of a kind. If you can only see one area on the Big Island (but we hope that's not the case), make it the warm and sunny Kona (West) Coast. Here you'll find plenty of historical sites, picture-perfect bays, and museums that showcase the importance of this region. Explore everything from Native Hawaiian fish ponds and burial sites to scenic overlooks and more. The best Big Island sights, maybe? See for yourself. The Kohala region offers glimpses into ancient places of worship, burial sites, remains of ancient homes, and even a statue in honor of Kamehameha the Great. The region is simply beautiful and is rich not only in natural sights, but also in its lovingly-maintained cultural and historical locations. Did we mention this is the southern coast? So southern, in fact, that a stop at Ka Lae (South Point) means a stop at the southernmost point in the United States. Stop at the "Broken Road," admire the ancient cultural vestiges, and ponder the lives of ancient Hawaiians as you look out over the ocean and imagine Antarctica a mere 7,338 miles away. Driving along Saddle Road is an adventure in and of itself, as it spans over 50 miles across the east-to-west "saddle" formed between Mauna Loa and Mauna Kea. Stop by the Visitor Center, gaze at the stars, and enjoy your time on the world's highest mountain.